Vinegar is an ingredient widely used for cooking, marinating, pickling, and making salad dressings. It is also considered a home cleaning agent. It is a liquid that has been allowed to ferment, causing the final produce to have a sour taste and a strong smell. It may have various flavors depending on what it is made from. This article will talk about wine vinegar, which is made from either red or white wine. Read on and we’ll tell you all about red wine vinegar and white wine vinegar as well as the aspects that differentiate them. Red wine vinegar is made by fermenting red wine. The process involves storing the red wine in barrels or containers for a couple of years. In the process, acetic acid is produced by the fermentation of ethanol when bacteria comes into contact with the wine for a long period of time. The specific type of bacteria that is needed is called the “mother of vinegar” or simply “mother” which is a fermenting bacteria culture used to make vinegar. This process gives the wine that sour taste and pungent smell that is typical of good vinegar. When the fermentation process is completed, the resulting liquid is cleaned, strained, and placed in bottles to be sold. The wine quality has an influence on the standard or characteristics of the vinegar produced. Good quality red wine would have more subtle fruity flavors, thus being more expensive compared to inexpensive red wine vinegar which has a more dynamic taste. 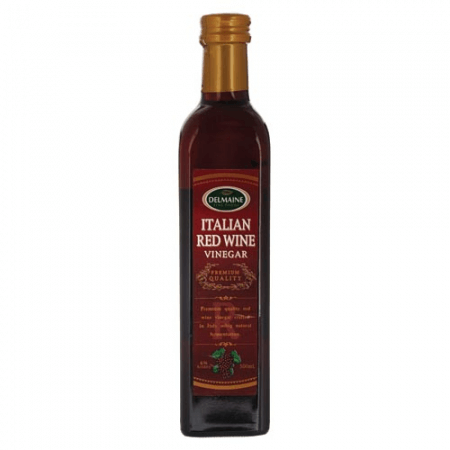 Red wine vinegar comes in a variety of flavors due to the diversity of red wines. Red wine vinegar is mostly used in southern and central Europe. It is also commonly used in places such as Cyprus and Israel. Red wine vinegar is perfect for dishes with beef, pork, or vegetable ingredients as they provide more hearty flavors for the dishes. White wine vinegar is made by fermenting white wine. The ethanol in the white wine is oxidized and fermented to produce acetic acid. With the help of the “mother” or fermenting bacteria culture, the white wine is stored for a couple of years to come up with the final vinegar product. 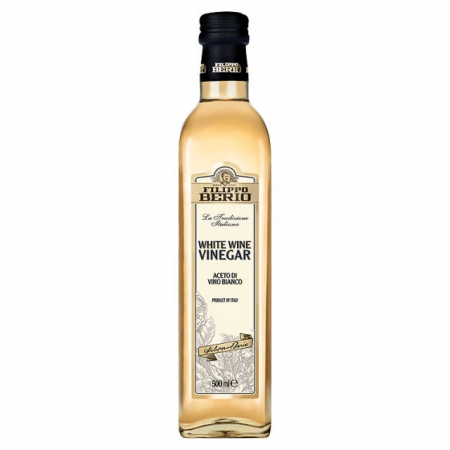 This type of vinegar comes in clear white to pale yellow colors depending on the wine used. White wine vinegar has a more complex flavor – though it is less sour – than the usual white vinegar. Good white wine produces complex flavors and the more expensive types are usually mellow in taste and made from varieties such as sherry, champagne, or pinot gris. The inexpensive varieties of white wine vinegar have a sharp, tart taste. White wine vinegar is commonly used in Mediterranean countries. It is best to use white wine vinegar for cooking dishes with fish, chicken, and pale green ingredients. White wine vinegar is also commonly used in the preparation of salad dressings or vinaigrettes, soups, and may also be used as an excellent base for herb vinegar. What is the difference between red wine vinegar and white wine vinegar? The basic difference is that red wine vinegar is made from red wine while white wine vinegar is made from white wine. Red wine has more varied flavors and more subtle tastes compared to the fewer flavors and stronger tastes of white wine vinegar. Red wine vinegar is mostly used for dishes with beef, pork, and dark-colored vegetables. White wine vinegar, on the other hand, is used mostly for dishes with chicken, fish, or pale green ingredients. It is also not advisable to substitute red wine vinegar for white wine vinegar in dishes that have pale, light colors as it might cause discoloration. Otherwise and on certain dishes, the two types of wine vinegar can be substituted for each other.